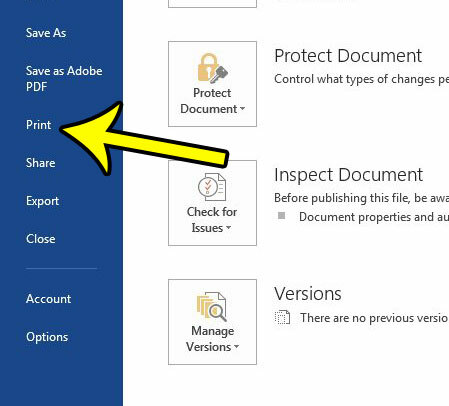 If you don’t change any of the settings for your document in Word 2013, the document is likely to print in the Portrait orientation, and each page of the document will take up one sheet of paper. While these default print settings are quite common, you may find that the text size is too large, and that you feel as if you are wasting space and paper by printing your documents in this manner. 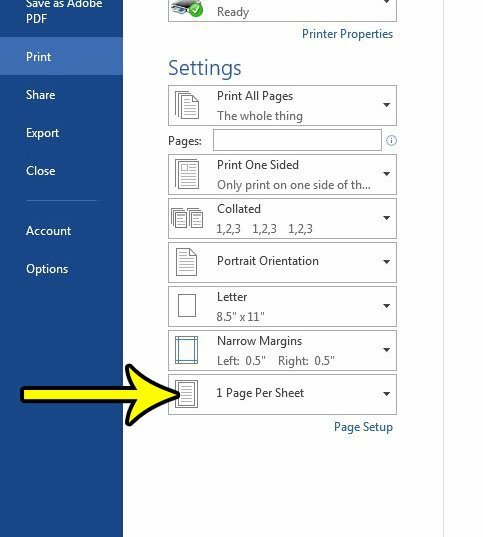 One option that is available is to print two pages on one sheet in Word 2013. This will turn the paper to landscape mode, then will print one page in portrait orientation on the left side of the paper, then the second page on the right side of the paper. This will use half as much paper, and you are likely to find that the text size is still relatively easy to read. 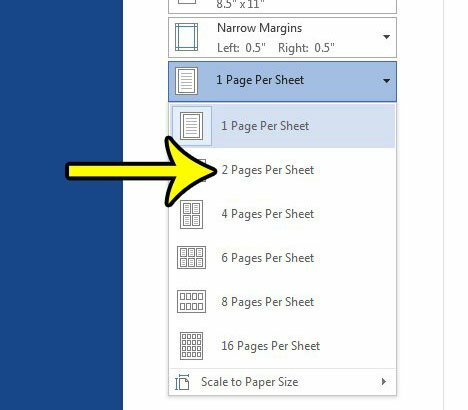 The steps in this article are going to show you how to change a printing setting in Word 2013 so that you can include two pages of your document on one sheet of paper. This can help you to save paper and make the document a little more portable in the even that you need to print it out. Step 3: Click the Print tab at the left side of the window. Step 4: Click the 1 Page Per Sheet button at the bottom of the Settings section at the center of the window. Step 5: Click the 2 Pages Per Sheet option. 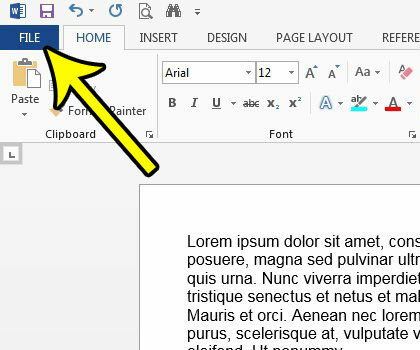 You can then click the Print button at the top of the window to print the document. Note that the Print Preview will not update to reflect the change. However, the document will print the way that you want. If you have a long document and want to make sure, you can always just print the first two pages to confirm. Is your document double-spaced, but you need it to be single? Learn how to single space in Word 2013 and quickly change the settings for your document’s spacing.